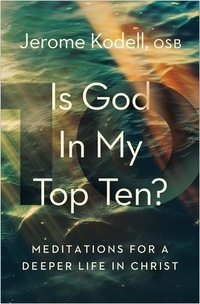 IS GOD IN MY TOP TEN? We often struggle to put God first in our lives, but distractions of various kinds can take us off track. In this book, Fr. Jerome Kodell, a Benedictine monk, shares the fruit of a long life of prayer as he helps us sort through our priorities. The short reflections here touch on a variety of topicsthe attitudes that will help us to pray, the tremendous gift of the word of God, the way to grow in humility and other virtues, and the reality of Lords great love and mercy for us. Each of the meditations provides plenty of food for thought and prayer. This book makes a perfect gift for anyone trying to live as a follower of Christ.